As a Hi-Fidelity audio company we care about music first and foremost. The highest quality audio starts with the highest quality artists. We are strongly committed to supporting Australian independent music across a broad range of genres. We want to give artists an opportunity to have their music recorded at the highest possible quality and enjoyed on the world’s finest systems. 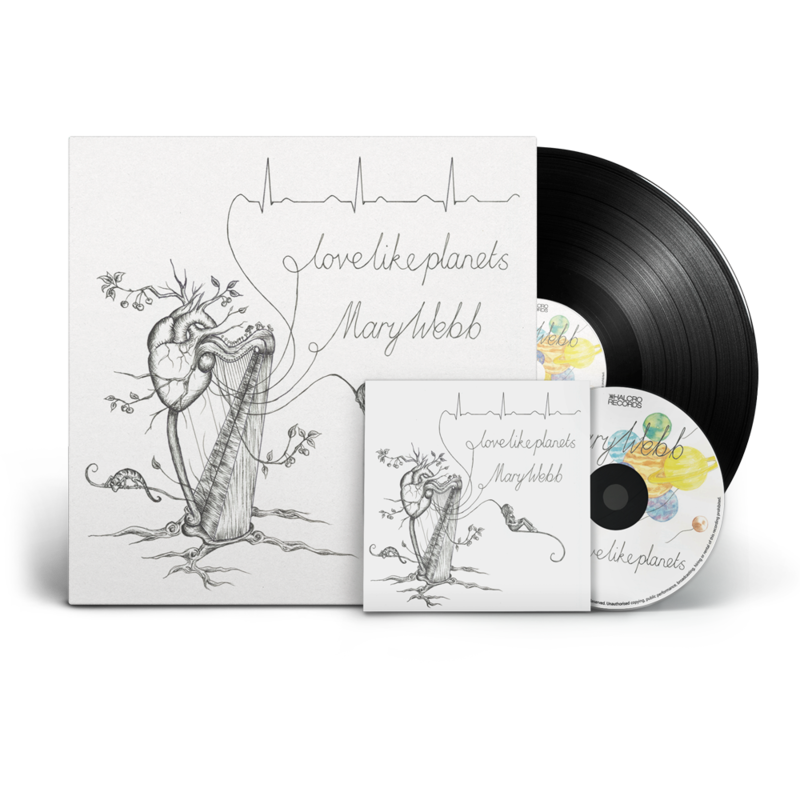 Mary’s new album ‘Love Like Planets’ was recorded at Snowghost Studios in Montana, USA with studio owner and engineer Brett Allen (Death Cab For Cutie, Swell Season, Matmos, Wayne Hotvitz, Justin Townes Earl), and local South Australian producer Mike Kirkham. While her previous releases have been predominantly acoustic, the new album also features an impressive four-piece studio band from Portland, Oregon. Recorded at Snowghost Studios in Montana, USA. Mixed at Bountiful Studios in Uraidla, South Australia. ‘Love Like Planets’ was recorded at Snowghost Studios in Montana, USA with studio owner and engineer Brett Allen (Death Cab For Cutie, Swell Season, Matmos, Wayne Hotvitz, Justin Townes Earl), and local South Australian producer Mike Kirkham. The album was mixed in Whitefish Montana, and Bountiful Studios in Uraidla, South Australia. Mary's new album also features an impressive four-piece studio band from Portland, Oregon. Band mates include Cory Gray (keys, trumpet; has played for Darren Hanlon, The Dandy Warhols, Decemberists, Mirah), Daniel Hindman (guitar; co-creator of the band Pure Bathing Culture), Brian Wright (drums; Pure Bathing Culture) and Zachary Tillman (bass; Pearly Gate Music, regularly plays for Fleet Foxes). Reuben Cohen has been with Lurssen Mastering since it opened its doors. He brings a contemporary and innovative approach to the craft of mastering. He has that special talent essential to success in the mastering field - an ability to understand the artist's creative concepts. It is the natural skill of a true musician's engineer. Reuben goes to great lengths to achieve the vision of the artist.